DU VAL, P. - Chili. Chili. 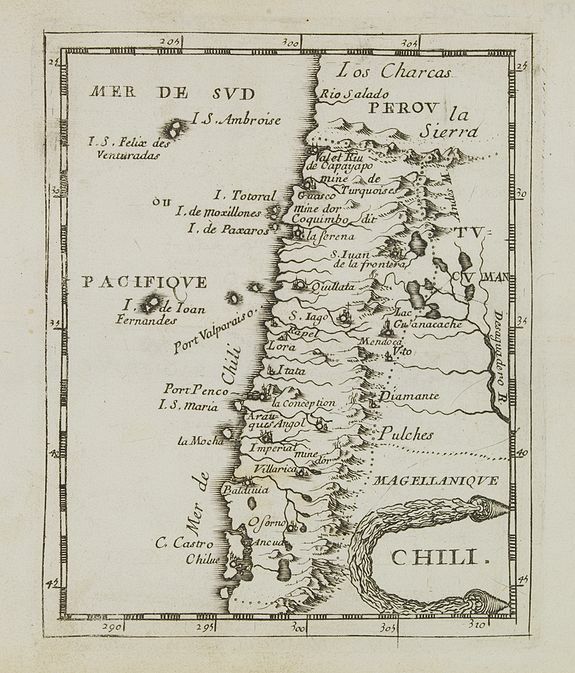 - DU VAL, P.
Description :Uncommon miniature map of Chile from Pierre Duval's La Geographie Universeille dated 1676. Following his Cartes de geographie in 1657, Pierre Duval published this smaller size atlas which contains a larger quantity of maps. The maps in the atlas appear to be derived from those of his uncle Nicolas Sanson.